Discontinued after 2016, this sporty compact is now rare and unique. 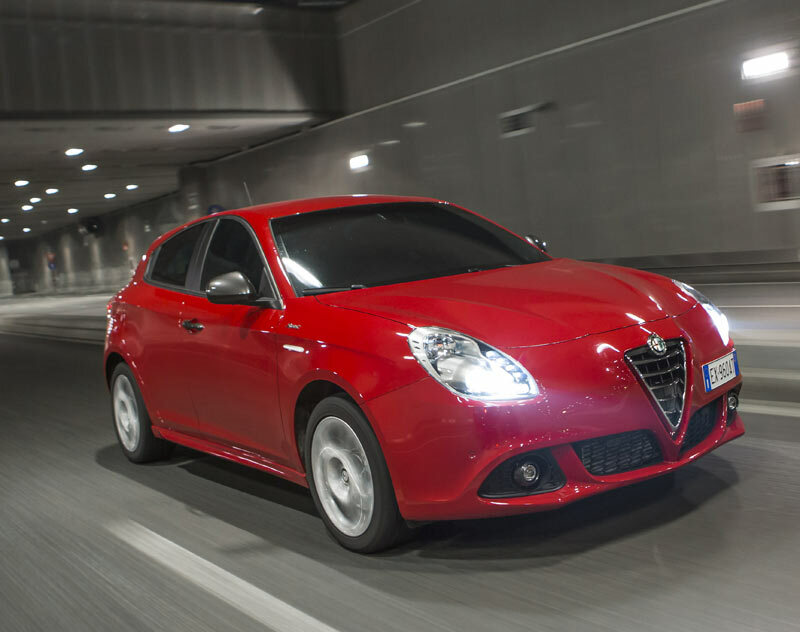 Based on the expanded Alfa Romeo Giulietta platform, the Dart offers an American style with European handling. Compared to other compacts, the Dart is wider and heavier. As a result, the Dart's safety ratings are among the best in its class: five out of five stars overall in the NHTSA crash tests and Top Safety Pick from the IIHS. The interior space is almost like in a mid-size car. Handling is another strong point. The Dart feels solid and stable on the road. That's all good, but is it reliable? What are the common problems? Please read further. Inside: First thing you notice opening the door is how substantial it feels - something that is you'd commonly see in luxury cars. The 8.4-inch Uconnect touch-screen available in SXT, Rallye, Limited and GT controls the radio, CD or iPod, phone and optional navigation. It also displays the optional back-up camera (available in all but SE trims) when reversing. Another 7-inch display, integrated into the instrument panel (available on Limited and R/T) can be configured to show things like a digital speedometer, turn by turn navigation and fuel economy. The driver's seat height is adjustable and the steering tilts and telescopes, so it's easy to find a comfortable driving position. Engine: Three 4-cylinder engines are available: the base 160-hp 2.0-liter DOHC Tigershark is standard on SE, SXT, Rallye and Limited; it comes with a 6-speed manual or 6-speed automatic transmission. Dodge Dart 2013 2.0L engine. For buyers looking for fuel efficiency, there is an optional 160-hp 1.4L MultiAir intercooled turbocharged motor available on SE, SXT, Rallye and Limited. It comes with either a 6-speed manual or 6-speed dual dry clutch automated manual transmission. Dodge Dart GT is fitted with a 184-hp 2.4-liter MultiAir 2 Tigershark engine. Read also: Should you buy or avoid a turbocharged car? 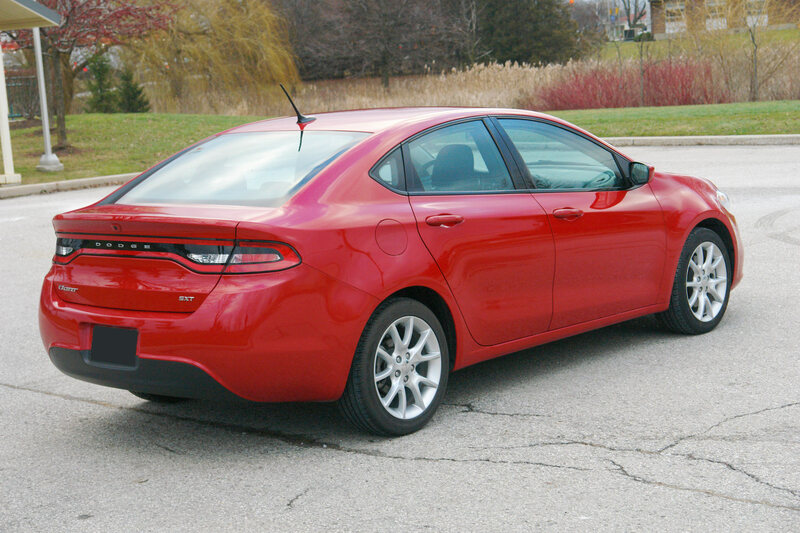 Mechanical: The Dart has MacPherson struts in the front and European-styled bi-link independent rear suspension. The steering is electrically assisted. 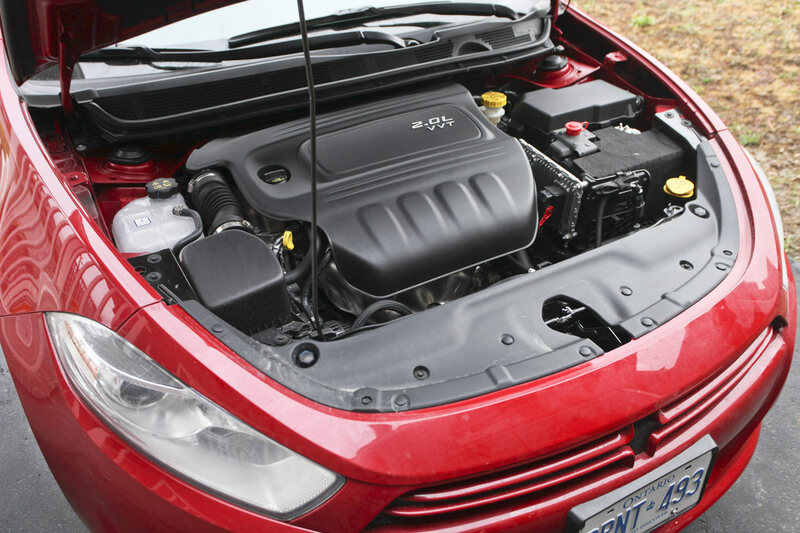 Timing belt or Timing chain: The 1.4L turbo engine has a timing belt that according to the 2013 Dart owner's manual needs to be replaced every 150,000 miles or 240,000 km. Both the 2.0L and 2.4L engines have a timing chain. Handling and ride: The ride is compliant and quiet; minor imperfections are filtered out, but you will feel larger bumps. Braking is very good. The Dart feels very stable at high speeds. The 2.0L engine is smooth and has enough power. When pushed, the car feels lively and fun to drive; it accelerates quickly and holds the road well even with 4 adults inside. Fuel Economy: The 2013-2016 Dodge Dart with a 2.0L engine and an automatic transmission is rated at 27 MPG combined or 24/33 MPG (9.8/7.1 L/100km) city/highway. This means you can get up to 430 miles (692 km) on one tank of gas. The 1.4L turbo Dart auto with Aero package gets 28 MPG city and 39 MPG highway (8.4/6.0 L/100km). 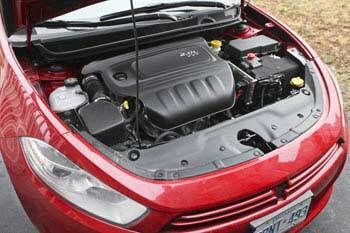 The 2.0L and 2.4L motors can run on regular gasoline. For the 1.4L turbo, premium 91 or higher is recommended. Safety: All Dart models come with disc brakes all-around, standard Antilock brakes, Stability Control, Traction Control and 10 airbags. In the NHTSA crash tests, the 2013-2016 Dart received five out of five stars in both, frontal and side crash tests, with five stars overall. This is actually one of the best marks in the class. Pros: Awesome styling, sporty handling, pleasant ride, interior room almost like in a mid-size car, unique colors, Uconnect 8.4" display, top safety ratings. Cons: Fuel economy could be better, premium gasoline for 1.4L turbo engine, Check Engine light and other problems, fabric seat material and comfort, questionable reliability. Problems: Reported problems include Check Engine lights, failed ignition coils, Uconnect and Bluetooth, as well as some transmission issues. The FCA service bulletin (TSB) 18-023-16 REV. 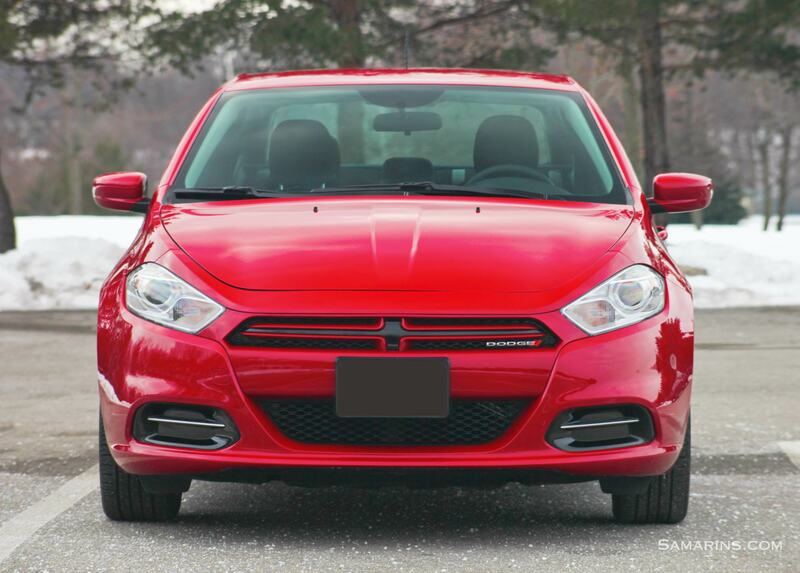 C for the 2013-2015 Dart recommends reprogramming the PCM to address several Check Engine light codes on the 2.4L engine. The TSB 18-034-14 REV. A recommends replacing the oil pressure sensor when the trouble code P0520- Engine Oil Pressure Sensor Circuit is set in the 2013-2014 Dart. The TSB 02-004-15 advises lubricating parts of top strut mounts when there is squeaking/creaking noise while turning the steering wheel. FCA issued several updates for the Uconnect software to fix various glitches. Read more at DriveUconnect.com. 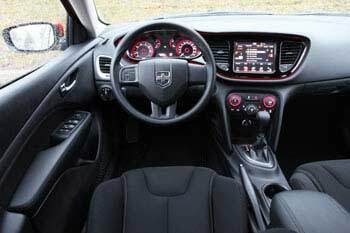 Overall: At the time we were working on this review, Consumer Reports provided reliability scores only for the 2013 Dart. The scores are below average, with "Engine" and "Transmission Minor", "Power Equipment" and "In-car Electronics" getting the worst marks. On the plus side, a very few compacts can compete with the Dart in sporty handling and styling. The exterior design is awesome. Available 17-or 18-inch wider 225 tires provide the excellent grip on the dry pavement. Safety ratings are also among the best. The huge 8.4" Uconnect touchscreen is unique to compact car class. The optional navigation is easy to operate. Plus, exclusivity is always worth more, now that the Dart has been discontinued. We recommend avoiding the turbo engine and the dual-clutch transmission. Both are more likely to have problems. What to look for when checking a used Dodge Dart: The regular maintenance is very important, especially for the turbocharged engine. Check the history or service records to verify timely oil changes. Low oil level and burnt oil smell under the hood could be an indication of excessive oil consumption. In a turbocharged engine, watch out for white smoke or noisy turbocharger. A turbocharger is expensive to replace. During a test drive, try driving slow over small bumps and see if the suspension stays quiet. See if the vehicle doesn't pull to one side or another on the highway. Maintenance tips: According to the 2013 Dart owner's manual, Dodge recommends using 5W-40 synthetic oil in the 1.4L turbo engine and 0W-20 in the 2.0L and 2.4L engines. What is the recommended oil change interval? The 2013 owner's manual doesn't specify the interval for regular oil changes. It says that the oil change indicator system will display the message 'Change Oil' automatically; the interval is calculated based on the driving conditions. The oil change indicator needs to be reset after performing the scheduled maintenance. How to reset the oil change indicator? The procedure is described in your owner's manual (page 297 in the 2013 Dodge Dart OM). Should a timing belt be replaced earlier than the recommended interval? In our opinion, 150,000 miles is too long an interval, we would replaced it much earlier, may be at 100,000 miles.